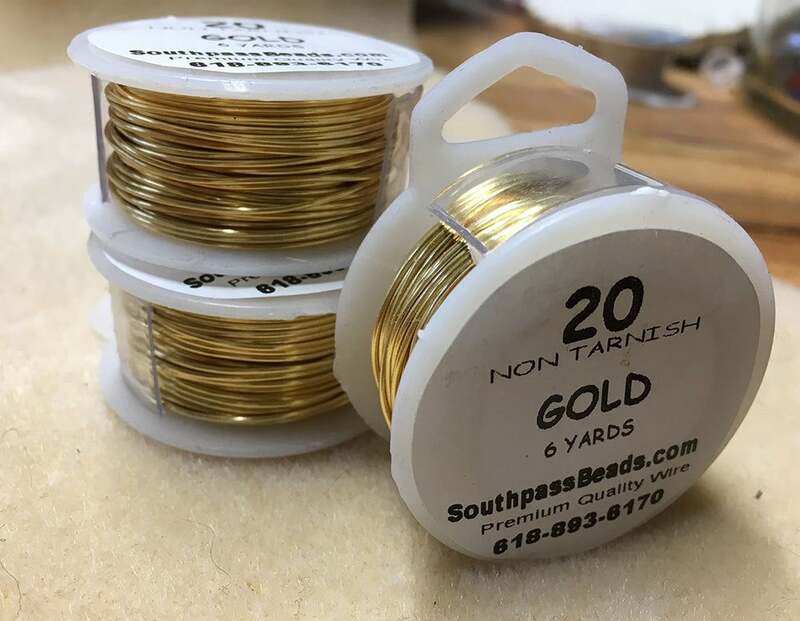 High quality gold plated copper non-tarnish wire, 20 ga. 6 yards - that's 18 feet!. Made in USA. Professional quality craft wire! For all your jewelry, craft, beading, and other artistic projects! Great service as always, thanks! Shipped promptly, always great service from this shop! Perfect, just what I needed... thanks for fast shipping!